We are a family owned and operated Scottsdale Appliance Repair company. Specialists in refrigeration, particularly Whirlpool and GE Refrigerators with Same Day Service. We also work on LG and SAMSUNG washers and Dryers. Great service, very helpful, patient and informative. Andrew was very honest working on my washing machine and so very patient with all my questions. When he realized that the parts he needed had been used yesterday, he took the time to get them today. The he returned at the end of the day after he'd finished his other calls to fix my machine! Very happy. I will use this company and hopefully Andrew again. Andrew did a great job of servicing our appliance needs. I would recommend. Great Job! Excellent service. Worth the money! Knowledgeable, experienced Technicians. Scott fixed my dishwasher rack same day and gave me tips on how to clean it to wash my dishes better. Great Service, efficient, friendly! Excellent service! Scott from Appliance Works is by far one of the best, most professional and knowledgeable service technicians we’ve ever had to our home. Thank you for sending him to help us. We highly recommend him! Work done well and on time! Perfect and to the point! Currently while renting our house we came across very minor appliance issues which require a professional opinion and assistance. I looked for guidance online and found Appliance works. I then scheduled a consult, he was prompt upon arrival, ordered parts and returned within a week to install efficiently. Nothing else to state other than they completed exactly what I had requested in a timely fashion, customer service on the phone is amazing and friendly and we are very satisfied customers and will continue to promote this business, Thank you!! Great personality and very pleasant. Highly recommend him. Scott was amazing. His service was second to none. Would highly recommend him. On time ! Quick solution ! Good Service Warranty ! Awesome service....Scott is the best!! I have used your service on many occasions and have always been totally satisfied with Scott and the service he provides. He always knows the right thing to do but does not push services. He even ordered parts for my old refrigerator and brought them out but did not feel comfortable installing them as there were other issues with it and advised I buy a new one. That is true customer service. Thank you Scott. Right on time, quick to diagnose and repair. Scott was professional, friendly, and explained our repair in clear, intelligent terms. On-time and efficient and price was reasonable. Never a worry or concern of his competence. A pleasure to find a smart, friendly repairman! The door to our LG dishwasher became nonfunctional and would not close properly. 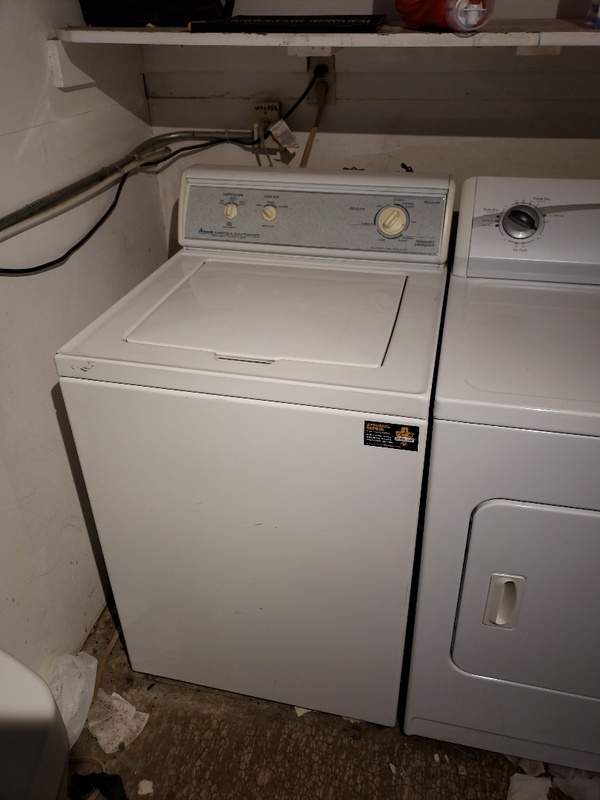 We called Appliance Works and described the problem. Scott came out right away and had already diagnosed the problem and ordered the defective part, which had to be backordered. When the part came in, Scott reappeared and fixed the door perfectly in half an hour. Scott was extremely polite, fair and well informed. It was a pleasure to do business with his company, which we will now call for any and all other out-of-warranty repairs. It's nice to find someone who really knows what he's doing; Scott fit that bill to a tee. Glad I Called Appliance Works! I called Appliance Works for a service appointment regarding my oven and was able to get an appointment quickly. I appreciated the information Scott provided about my older model oven and the fact that he didn't try to convince to replace something that didn't need replacing at this time. Honesty and integrity...win, win! Scott came out and diagnosed the problem on my Dacor range. (and he was on time!) He ordered the part I needed, and did the repair as soon as the part came in. (and he was on time!) I have used Appliance Works several times now for different appliances, and have always been fortunate enough to get Scott. He is so knowledgeable, very informed, and really know what he's doing. And to top it off, he's a really nice guy. I won't use any other appliance repair company. I felt very comfortable with Scott who was polite and knowledgeable. I received a reminder call the night before and a call when Scott was 15 minutes away. We’ve had several people “fix” our Subzero ice maker. Only Scott actually did so and with American parts no less. GE dishwasher not cleaning dishes well. Lg front load washer door won't lock to start a cycle. Lg French door bottom freezer ice maker not functioning correctly. Lg top load washer leaking. Maytag washer front metal ring came loose. Amana washer not spinning the load. Lg washer grinding noise. Won't agitate or spin. Amana washer not operating properly. Kenmore range wont self clean.